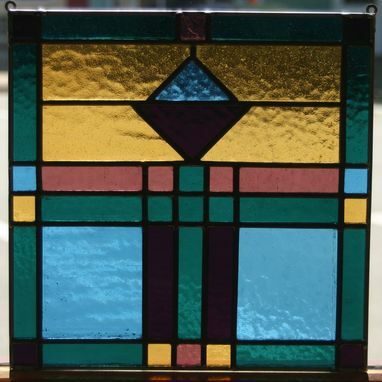 This is a small free-hanging stained glass window built using the client's old glass from their childhood home. Approx. 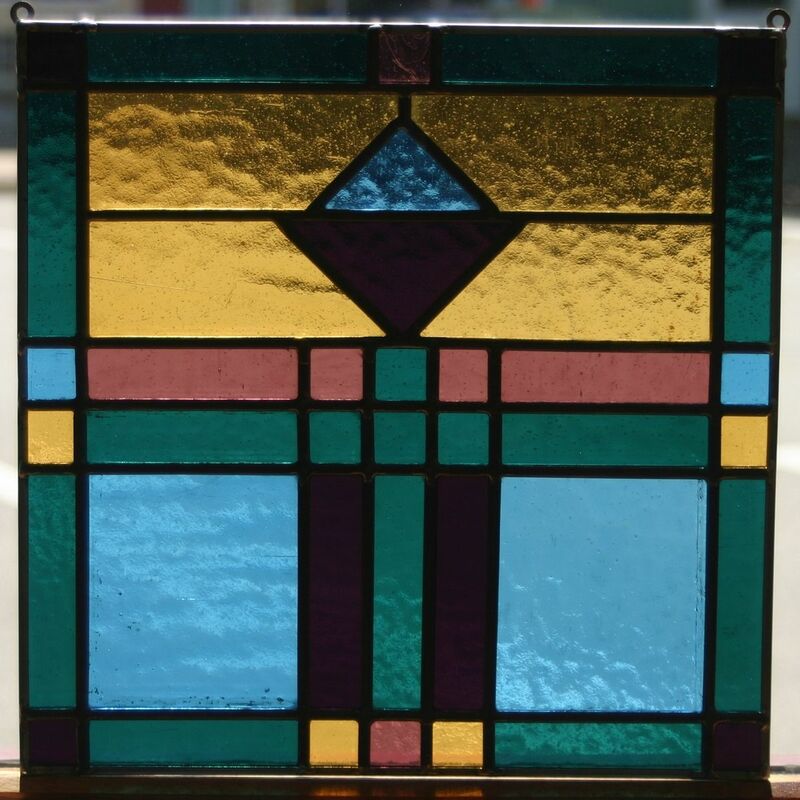 12" x 12".